Jaipur, Jan 26 (IANS) Indian writer R.K. Narayan deserved a Nobel Prize for his writings, said renowned British author Jeffrey Archer here on Saturday. “His work is a work of a genius. He can take a small man living in a village and turn it into a brilliant story,” said Archer. 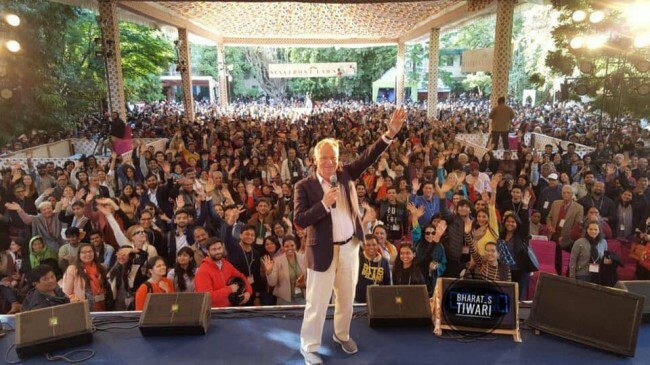 Addressing mediapersons during the ZEE Jaipur literature Festival which concluded today, he said that this time he decided to debut at JLF2019 as the organizers had been inviting him for a long time. The author said that he has two favorites in the Indian cricket team – Rahul Dravid and Sachin Tendulkar.